Every time I hear their song, The Ceiling, it is like I am hearing it for the first time. It catches my attention every time it comes on the radio and I think "Ooo! I like this song. I wonder who sings it." Then I remember that I have heard it before... Duh! The Wild Feathers! For a song to catch my attention like that over and over again says a lot. Next time they catch my attention I am going to make sure I think "Ooo! The Wild Feathers! I love this song!" "The Wild Feathers are a truly American band: their music takes elements of the best of rock, country, folk and blues music and reshapes it in a way that is both unique and modern." Unknowingly they have given one of the best definitions of Americana music that I have heard from a band to date. Plus they recorded their album live (meaning with everyone playing at the same time like you would see in concert instead of taking turns) which gives it that raw and real feeling that I love so much! But I understand, like most bands and artists they most likely don't like to actually label their music as a type. Labels can be limiting. Plus when people hear Americana they automatically think old. I am trying to break that correlation because it is definitely not true. (What is Americana? Click here.) Back to the topic at hand... this post is supposed to be about The Wild Feathers not Americana Music. gesh! Since we know their album was recorded as they all played together then that is a good indication to how awesome they will be in concert. 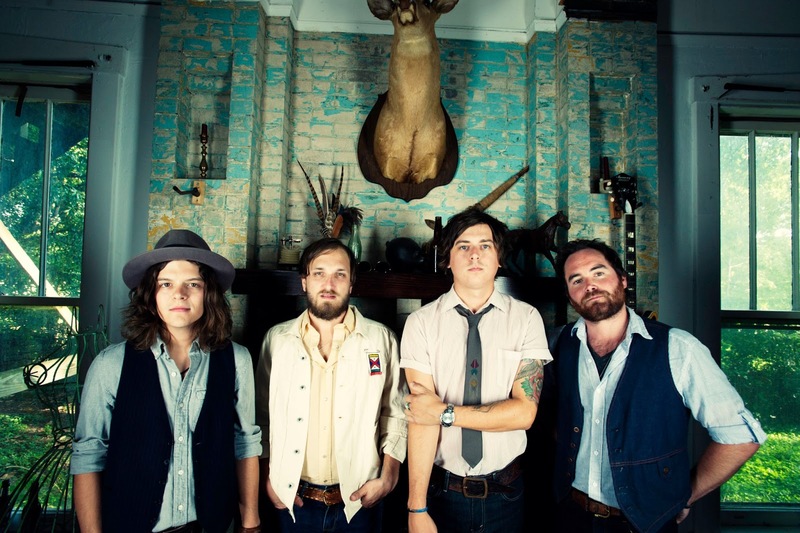 The Wild Feathers will be in Nashville on July 21st at 3rd & Lindsley. It's only $10. Who else is going? Let's meet up! Their self-titled debut album releases on August 6th. Get a FREE download of The Ceiling and Backwood Company by clicking here. i'm not often able to just sit down and listen to most blogger's music playlists and recommendations but yours seem to be super spot on for me. this is really great— i'll definitely be checking out their other stuff, too!